Bonnie and Lisa Besserer working together to get clients and friends informed about Dallas living. 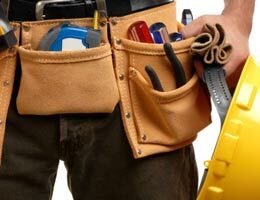 In this economy, you may be tempted to delay or even skip minor home maintenance repairs, cleaning jobs and inspections in your home. But don’t be penny-wise and dollar-foolish. That $200 or $300 you save today could result in expenditures of $3,000 or even tens of thousands next month or next year if hidden problems in your home go unnoticed and become worse. Consider coughing up a little dough to take care of these small jobs before they morph into gigantic, expensive jobs later. Cost: $200-$300, depending on where you live. How often: at least once a year. When: spring or fall. Heating, ventilation and air conditioning, or HVAC companies aren’t as busy, and you’re not in dire need of heat or air conditioning. What an inspection might find: The furnace blower is not working properly. Cost to repair or replace: $100-$150. Possible consequence of letting it go: a broken heat exchanger. Potential savings down the road: $300-$1,000 to replace the heat exchanger or $750-$3,500, depending on the energy efficiency, to replace indoor or outdoor furnace components. The reversing switch in the heat pump is broken. Cost to repair or replace: $100-$300. Letting it go results in no heat from the heat pump, and the system switches to a more expensive auxiliary heat. Potential savings: lower heating bills. Cost: $65 for an inspection; $150 for inspection and cleaning, including removal of creosote buildup, which may lead to a chimney fire. How often: once a year.When: before your first fire in winter. What an inspection might find: There’s no chimney cap. – Cost to add: $150. If you let it go, rain water can get into your chimney, damage the chimney liner and damper, and even saturate mortar joints — causing mold. Potential savings: $2,000-$4,000 to replace the chimney liner. Other problems may include: a cracked chimney crown, which can be repaired for $300-$500; chimney flashing that needs caulking, which can be done for $80-$100; and waterproofing the exterior brick, $350-$600. All these fixes will prevent rainwater from getting in and mold from forming. $200-$300 for a termite protection contract for qualifying homes with no current evidence of termites to cover treatment and repairs for any future infestation. When: any time, although termites are more active in spring and early summer. An inspection might find subterranean termites that come from the ground or flying termites. If left untreated, these bugs damage framing, trim, drywall, furniture, carpet, copper and other soft metals. Termites cause more than $5 billion in damages a year in the U.S., says Paul Curtis, entomologist for Terminix, The average homeowner loss for termite damage is $3,000, but losses can be as high as $30,000 or even $80,000, Curtis says. Most homeowners insurance does not cover repair of termite damage. Cost: $100-$300 for a 200-square-foot deck, more for a larger deck. How often: every one to three years, depending on the amount of traffic, moss and mold. When: any time in sunny weather. Power washing gets rid of stains, algae, mold, mildew and moss. Algae and mold can make your deck slippery and dangerous, says Justin Lee of JL Power Washing in Williamsburg, Va. Sealing your deck after it is cleaned helps prevent water damage. Wood soaks up rain like a sponge, expands and then shrinks, Lee says. Sealing makes the water bead up and roll off. And let’s not forget — your deck will look nicer, too. If you let it go, your deck will warp, nails will pop out and the deck won’t last as long. Potential savings: $4,000 to $20,000 or more to replace your deck, depending on size. Bottom line: “A properly cleaned and sealed wood deck can last 20 to 30 years,” Lee says. 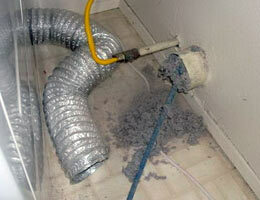 The purpose is to get rid of lint buildup. If your dryer is not on an exterior wall, it’s likely that the vent leading outside is clogged up, says Gessner of, A Step in Time Chimney Sweeps. Potential savings: your home, your furnishings, your belongings and your life. Bottom line: “I had been airing a radio commercial talking about the importance of dryer vent cleaning for about a month when three people (in our area) died in a fire caused by a dryer vent fire,” Gessner says. Cost: about 50 cents per square foot for hot water extraction cleaning, or $500 for 1,000 square feet of cleaned carpet. How often: every 12 months; more often for high-traffic areas and homes with small children, pets or smokers. Manufacturers’ warranties may require cleaning every 18 to 24 months. You can save money by focusing on regular cleanings for high-traffic areas and waiting up to two years for the entire carpet. 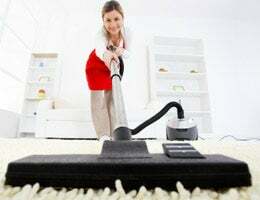 If the carpet looks dirty, you’ve waited too long because some soil can’t be removed with vacuuming. This soil will bind to your carpet and dull the texture, shortening the life of the carpet. Your home also will be healthier with pollen, bacteria, insecticides and dirt removed, says Howard Partridge, founder and president of Clean as a Whistle, a cleaning company outside Houston. Potential savings: extending the life of your carpet. Replacing 1,000 square feet of medium-grade carpet, including padding and installation, costs about $3,000. Learn how to save money and protect your investment at the same time. Our office has a whole list of people who we rate and use for these repairs…. Reliable people to do the job and affordable prices as well! ← Only Lease If It's an Absolute Must because, Several housing experts are predicting that this year will be the last chance for bargain hunters to cash in on the best deals of the weak housing market. Feel free to contact me if you or anyone you know is thinking about making a real estate move, or if you have questions in general about Dallas residential real estate. I work to help clients and friends buy, sell and lease residential properties. Check out this Adorable Home my clients have purchased in Stonewall Jackson Elementary in the Mstreets! It's a Bird, It's a Plane, It's Dirk Nowitzki's House!! Check it out. All About Lakewood.... The best place to live and buy in Dallas?